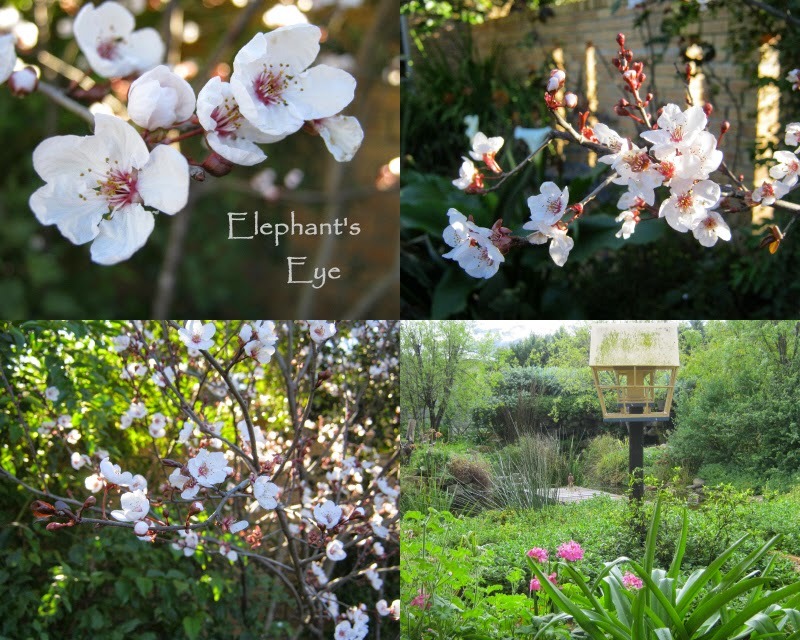 Our garden formally welcomes spring by lighting up with delicate blossom on the Canadian plum. Prunus nigra is in Autumn Fire for its deep plum leaves. With those bought at Ludwig's Roses we have four inherited with the garden. 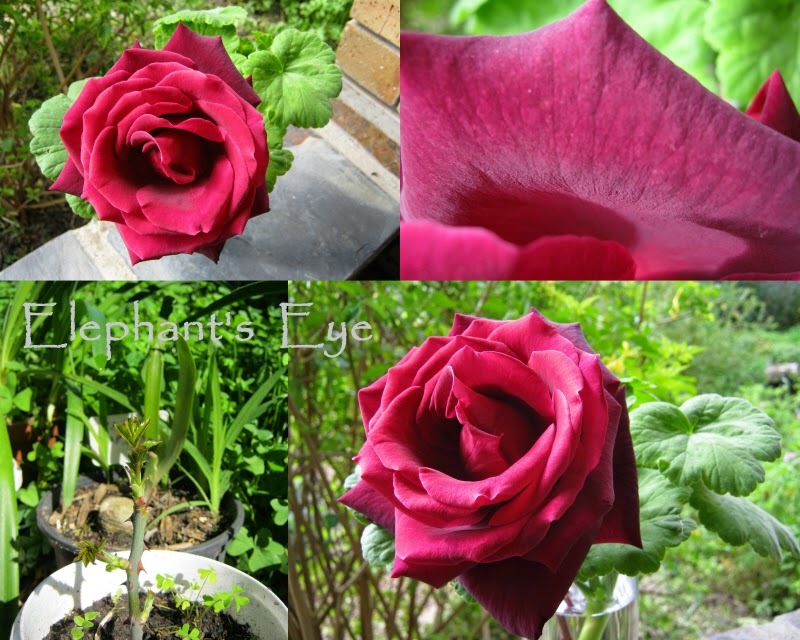 Black Prince is one of Gwen Fagan's Old Cape roses. The epitome of a true rose. A red so wine-dark sea that it shades to black velvet. So fragrant that a deep breath makes your head spin. 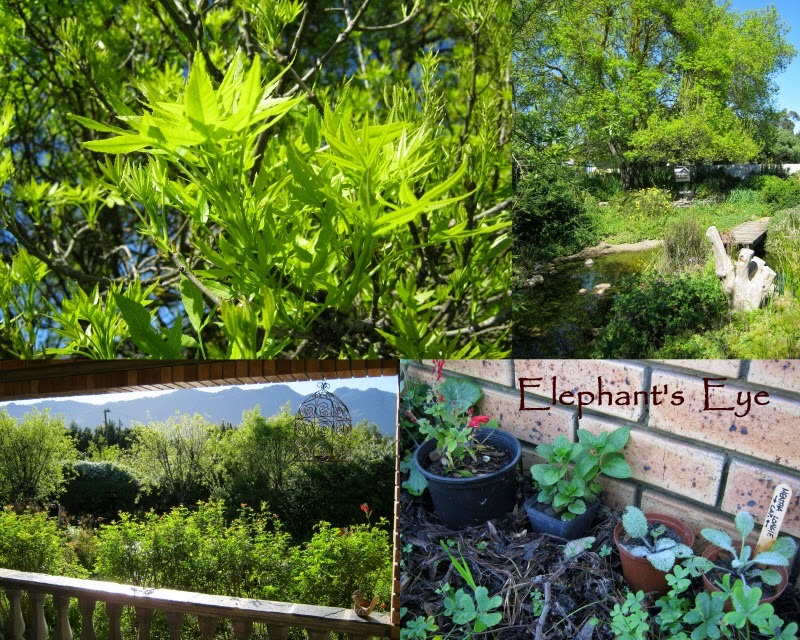 I've taken cuttings for a glazed pot in False Bay - and they grow! Winter's cool and wet suits the roses. They've been fed with wood ash and certified organic fertiliser. In summer we try to keep leaf cover to shade the stems. The sun cooks the sap and the stems die, the leaves fall, the flowers are ratty. Then, once the roses are growing and flowering - I should prune in July or August?! Masha of A rose is a rose taught me annual summer pruning in July 2011 - 'I know some eminent rosarians who live in South California with very mild winters, and summers on the hot side. Their roses tend to want to bloom all winter long, and because the weather is mild, the quality of blooms is high and they last a long time. 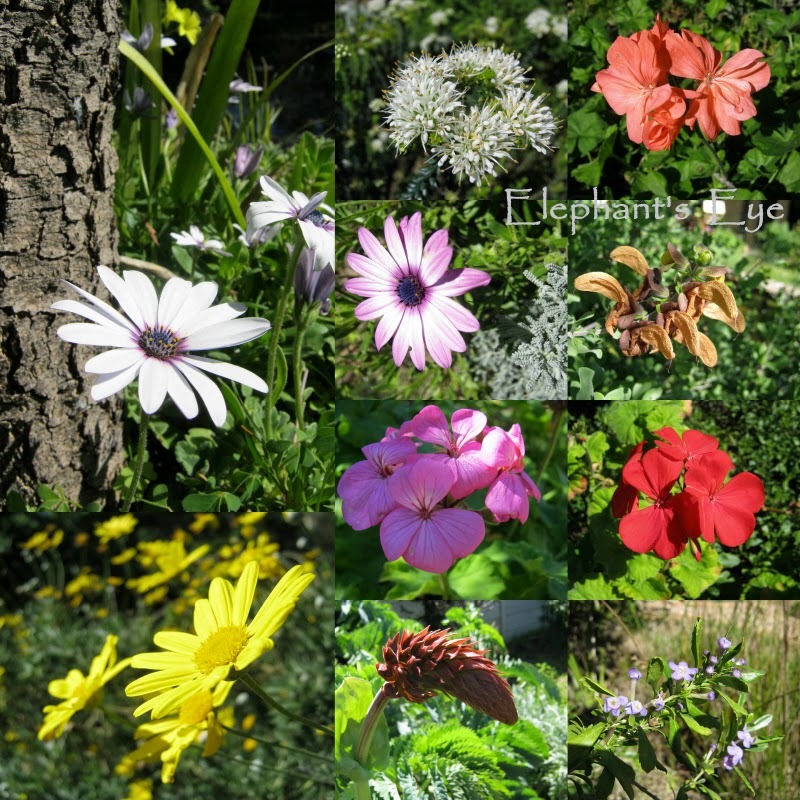 In summer however, with heat and a lack of rain, they tend to go dormant, blooming much less and with inferior quality blooms (smaller, fewer petals, washed out color, less fragrant). It makes a lot of sense to prune them when they are at their worst (and semi-dormant to boot) and let them bloom when they like. Since our Western Cape roses are not cut down by frost, perhaps we need to learn to let them be cut down by Pam's Texas Death Star. 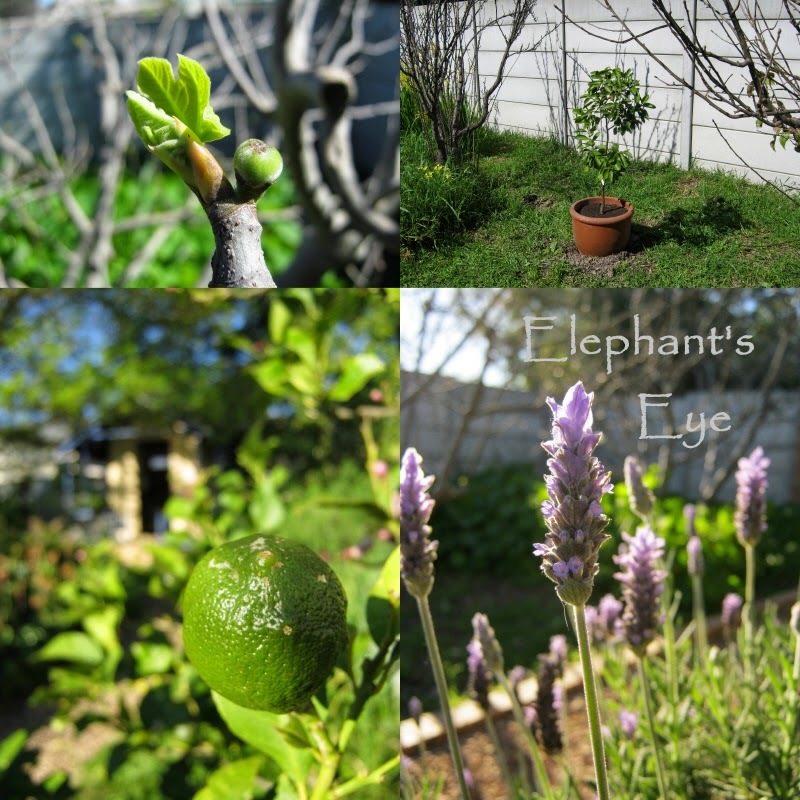 I'm going to try pruning at the end of February. This August I pruned only Perfume Passion to reduce its height. 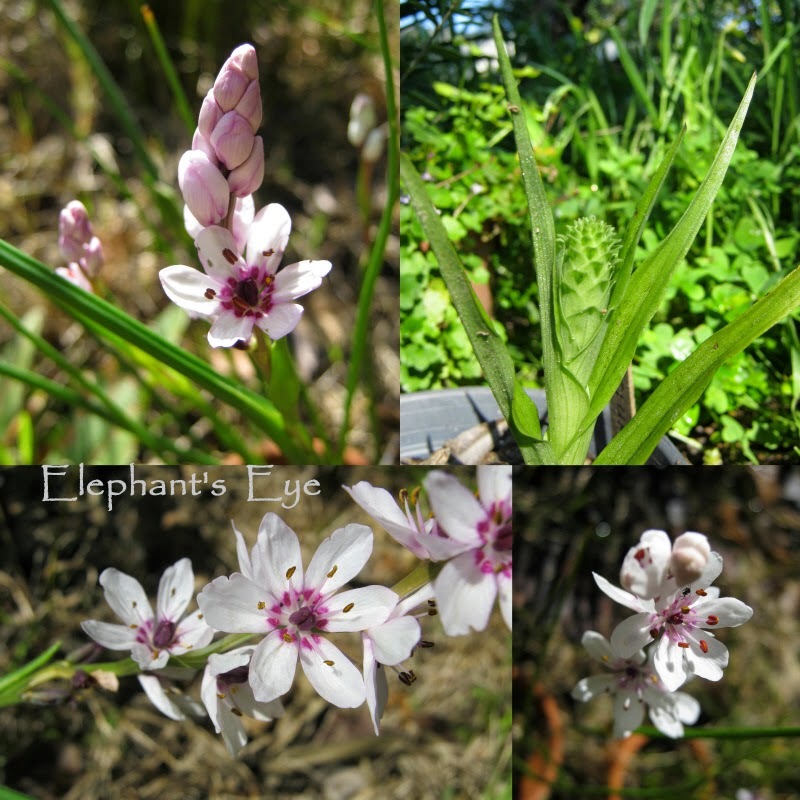 Blooming among my potted bulbs are vlei lilies and freesias. Lemons and tiny figs carpeted with nasturtiums. Cuttings as an instant garden are for our former garden helper Pani of the Falls. 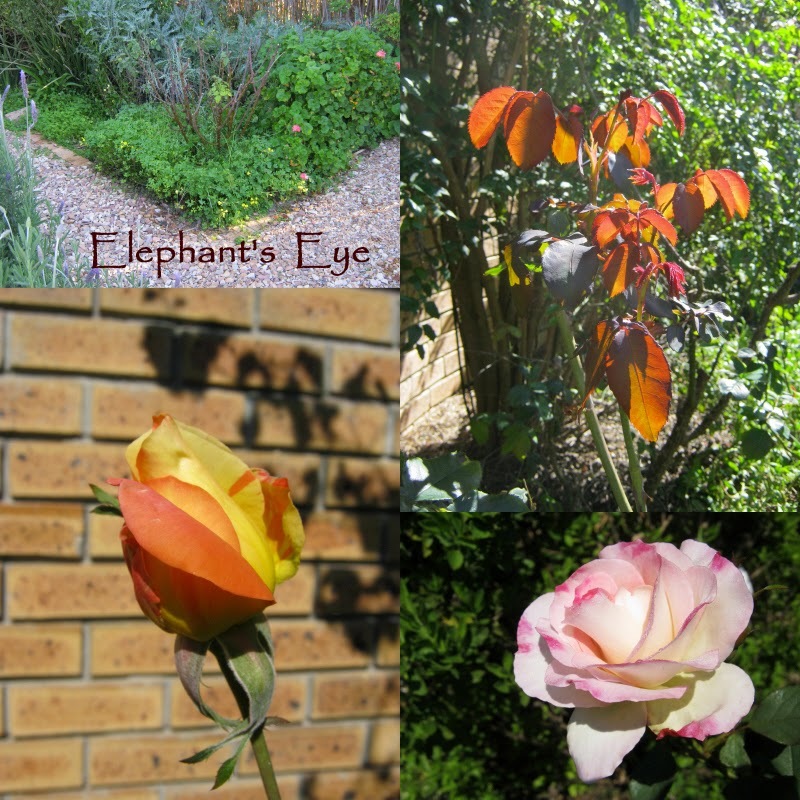 For Wildflower Wednesday the ash and fruit trees, Canadian plum, roses and nasturtiums are my exotics today. 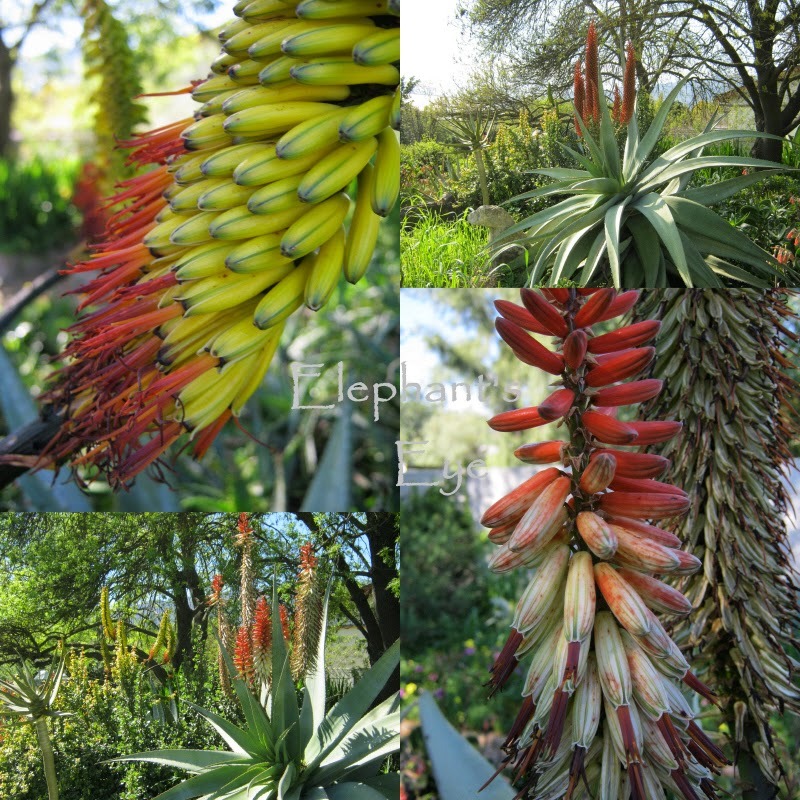 Aloes, bulbs, daisies and pelargoniums are South African. The ash tree leafs out chartreuse within days, reflected by Euphorbia mauretanica. Potting up herbs and revelling in the spectrum of scent. I tried SAD cuttings in clay soil. Then remembered what I've learnt (for Beth at PlantPostings) - to combine compost, sand and garden soil. We've had well below rain this winter - and are hoping for the 50mm+ predicted for tonight / tomorrow. Even the aloes aren't flowering much this year - I'm sure they're missing the manna from heaven too. Here's hoping for some rain... (Late is better than none). hope that you too are getting some rain, from these cold fronts and snowfalls. Truly stunning pictures Diana, Its amazing to see the flowers I love in their native environment. No wonder they don't flower so well here - they're homesick! for me, some of it's a learning curve. Is it from our winter rain side of the country, or the NEEDS watering in summer on the other side? the essential commonorgarden with our own less familiar indigenous plants. Thank you for the comment you left on my blog. I will also look into Google Friend a Connect. And, it's almost like one can smell the beautiful flowers from far and away. Really catching my eye are the banana like blooms of the Aloe marlothii. For a minute I thought you were growing bananas...and I really love the wild orchid...just beautiful. We do, have a banana plant! In a pot and still too small to bear fruit. Oh, it's springtime in your neighborhood! How lovely! Freesias have always been a favorite cut flower for me--you're lucky to have them native and growing happily in your area. The chartreuse color of the Ash tree is stunning! Thanks for joining in the meme, Diana! 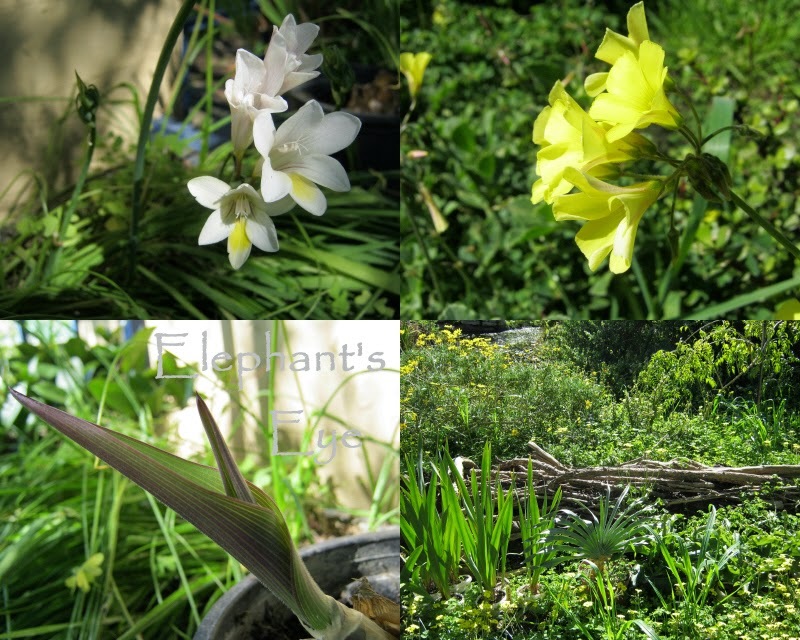 I grew the freesias from Kirstenbosch distribution of free seed to members. As I walk past, their fragrance catches me. is it the same Prunus cerasifera nigra we have in Europe? So it switched to start blooming in autumn then. Diana, I enjoyed seeing your late winter/early spring garden. I am fascinated by your aloes! Your roses are also lovely. Most of my roses quite blooming in the summer heat, so now is a good time for me to prune them, as they will bloom again through the autumn. Happy birthday to Aargon! I would also get an enthusiastic autumn flush with my roses, if I pruned at the end of February! I enjoy seeing your wonderful tropical flowers and spring flowers when we are all dried out and heading into hopefully a nice rainy fall. 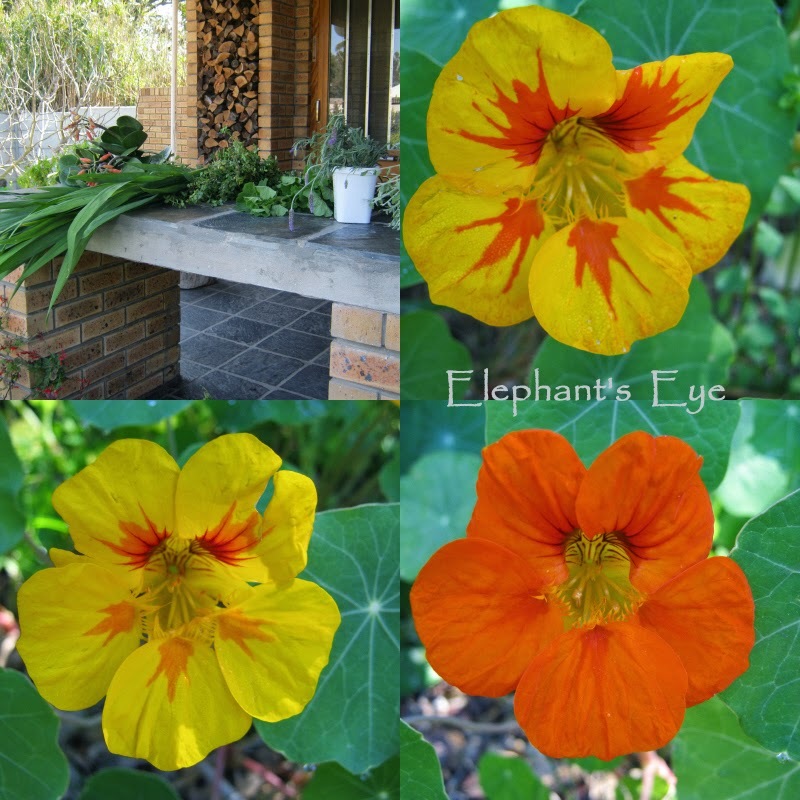 The nasturtiums look wonderful, mine are all gone. I'm looking hopefully for some seed - to give my sister who loves nasturtiums, and to scatter in the new garden for some vibrant colour.